Beijing, China -- The launch of an innovation fund that will provide millions to digital start-ups plus aEURO 500,000 research fund that will promote the study of global PE investment are both expected to have long-term implications across China, France and the United States. Both launches took place today at the Beijing Campus of China Europe International Business School (CEIBS). 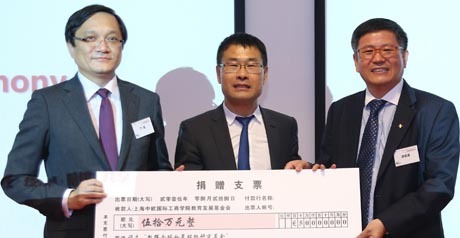 Cathay Capital will donate EURO 500,000 to CEIBS to establish the Cathay Global PE Research Fund, which aims to promote the study of trends, cases and risk-reward models of global PE investment, as well as innovation in the industry, organisational structure and management patterns in the new economic environment.